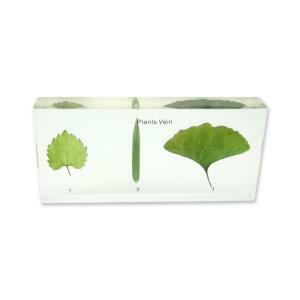 Explore leaf veination in this single block embedment. 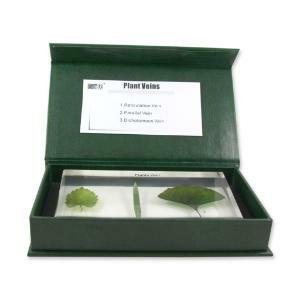 Specimens are preserved and encased in clear resin material and can be observed from every side to see details. Specimens include: reticulate veins, parallel veins and dichotomous veins. An introduction card is included. Size of product is 8¼ x 4¾ x 1 3/8".